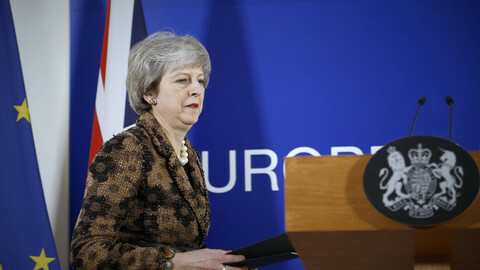 The EU awaits British prime minister Theresa May in Brussels on Thursday (7 February) with little expectation, and no new assurances unless she can give guarantees that she can pass any Brexit deal through the UK parliament. May is scheduled to meet with both EU Commission chief Jean-Claude Juncker and EU Council president Donald Tusk. 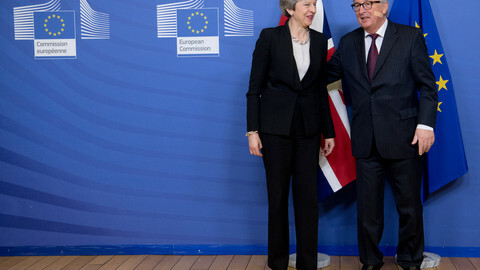 But in the EU capital, there is no expectation the UK premier will bring, or ask, something concrete on the Brexit deal, which was heavily defeated in the House of Commons last month, that could end the deadlock. Nevertheless, May is expected to push for either alternative technical arrangements and an end date to the Irish border backstop, or the possibility for the UK to unilaterally withdraw from it. These are all possibilities that have already been dismissed by negotiators in the 18 months of Brexit talks. The so-called backstop is designed the keep the UK aligned to the EU's customs union if the two sides fail to agree on a deal on the future relations before the end of the transition period in December 2020. Critics fear reinstating a hard border on the island of Ireland which could ignite sectarian conflicts there. 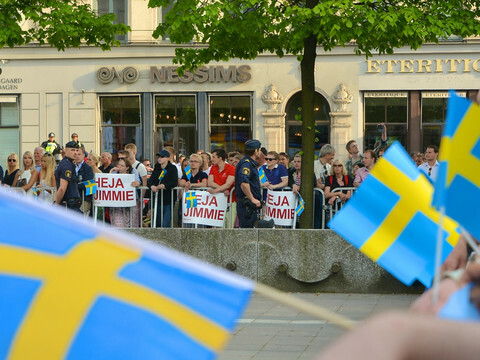 "There is no room for speculation here, the EU is first and foremost a peace project. 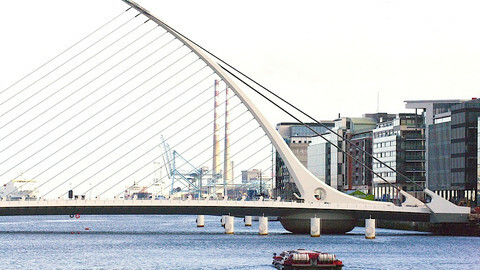 We will not gamble with peace or put an expiry date on reconciliation, this is why we insist on the backstop," Tusk said on Wednesday after meeting with Irish premier Leo Varadkar. "Give us a believable guarantee for peace in Northern Ireland and the UK will leave the EU as a trusted friend," Tusk added, saying he still strongly believes a common solution is possible. EU sources speculated that May might be playing for time, and eventually, with no-deal Brexit in sight, will enlist the help of opposition Labour MPs to pass the existing deal, with the possibility of staying in the customs union. "No crisis meeting, no summit is planned on the EU's side," said one official. Another one quipped: "Everyone is in the dark right now." 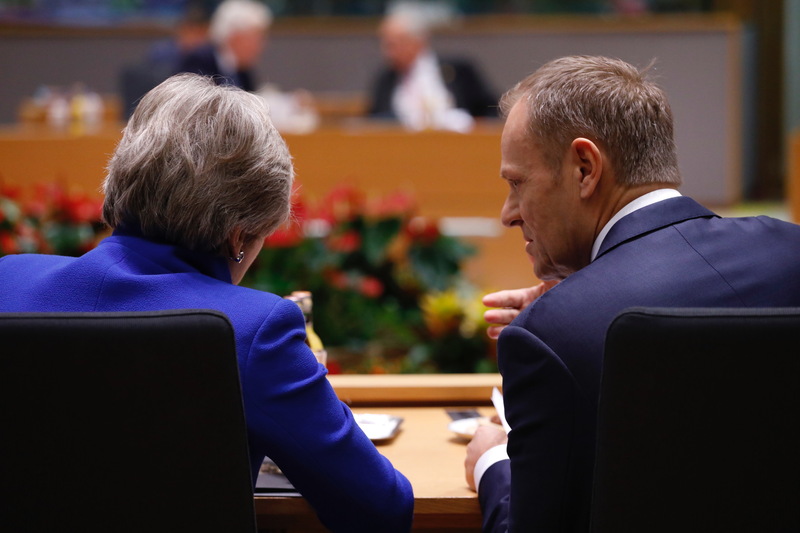 May has asked Tusk after the defeat in British parliament what the EU could offer her, but - according to a source - Tusk told her the EU's offer is the withdrawal agreement that her government had negotiated and signed up to. Earlier in the week, British MPs from the committee on Brexit met with EU commission's secretary general, Martin Selmayr. 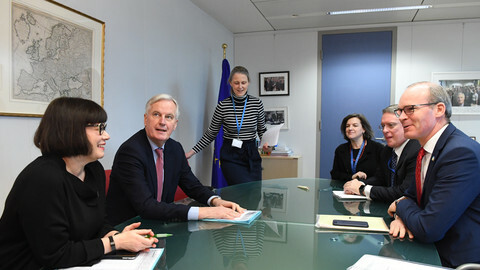 MPs asked if there could be legal assurances attached to the withdrawal agreement, based on two letters sent in December by Juncker and Tusk pledging that the EU would only implement the backstop if there is no agreement on the future, and that it was not a trap to keep the UK as the bloc's hostage on customs and trade. But the lawmakers could not guarantee to the top commission official that the Brexit deal would go through the parliament even with those new EU assurances. "What we can give is not enough for May, so the question arises, why move?," an EU source asked. Senior EU officials have said that it is because of the UK's negotiating red lines - leaving the single market, the customs union, having no customs checks between Northern Ireland and the rest of the UK, and also keeping the border on the island of Ireland open - that make the backstop necessarily. They also highlight that the backstop in its current, UK-wide form was initially actually proposed by London. 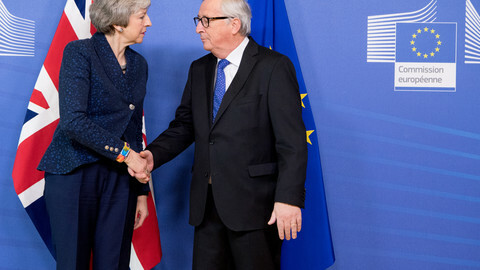 Thursday's visit is however important for the EU in terms of perception: it wants to be seen as open to May, and it does not want to be blamed for a no-deal Brexit. Varadkar's presence in Brussels on Wednesday also served to send a signal to London: Ireland's concerns as an ongoing member come before the UK's as a departing member. "We'll never abandon Ireland. We'll never prioritise demands of a minority of eurosceptic MPs from a departing member state over interests of a member state," the European parliament's Brexit coordinator Guy Verhofstadt tweeted after meeting Varadkar. The Irish PM said May is expected in Dublin on Friday for dinner for talks. 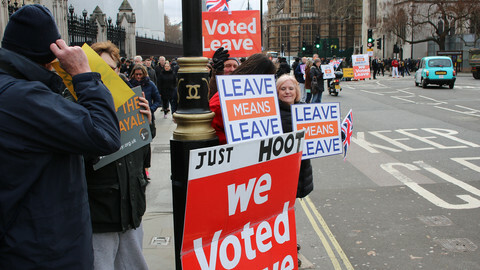 Requesting extending Article 50, essentially postponing the Brexit date of March 29, is not yet something May is expected to do, although the EU is likely to grant a short extension. Tusk caused a Brexit storm in London when earlier on Wednesday, speaking to reporters, he cited Dante to criticise those who had advocated Brexit without a plan on how to carry it out. "I have been wondering what that special place in hell looks like for those who promoted Brexit without even a sketch of a plan on how to carry it safely," Tusk said. Moments afterwards during the handshakes, Varadkar told Tusk: "They'll give you terrible trouble, in the British press, for this," to which Tusk nodded and laughed. The unusually tough language, that according to a source was not coordinated with EU member states, earned Tusk return fire from Brexiteers. British home secretary Sajid Javid said Tusk's comment was "out of order", and Conservative Brexiteer MP Peter Bone described them as a "completely outrageous insult". MP Sammy Wilson from the Northern Irish Democratic Unionist Party went further, calling Tusk a "devilish Euro-maniac". Ukip MEP Nigel Farage tweeted: "After Brexit we will be free of unelected, arrogant bullies like you – sounds like heaven to me." Juncker, asked about Tusk's comments, was more relaxed. "I'm less Catholic than my good friend Donald. He strongly believes in heaven and in hell. I believe in heaven and not in hell, apart from what I'm doing now, which is hell," he told journalists.